You might not guess it immediately, but some of the outlandish characters that populate the far, far away galaxy of J.J. Abrams’ Star Wars: The Force Awakens have origins that can be found startlingly close to home. For instance, while working on the script, the writer and director found inspiration for the diminutive, venerable Maz Kanata in the most unlikely source: his high school English teacher. Yes, the character of Maz was originally based on the great Rose Gilbert. We really wanted the story to feel authentic, despite being a wild fantasy. I mentioned Rose in an early story meeting as a sort of timeless, wise figure that I'd actually known in my life. Gilbert started teaching at Palisades Charter High School in 1961 when it first opened its doors to students, running three AP English classes in the same classroom where she taught until she retired in 2013 at the age of 94. This made her the oldest full-time educator in the Los Angeles Unified School District. Known to many of her students by the nickname Mama G, she was renowned for wearing an oversized pair of glasses that may look familiar to star wars fans. Listening to Abrams talk, it’s easy to spot the similarities between Gilbert and Maz Kanata. The character, voiced and motion captured by Lupita Nyong’o, may be a thousand years old and run an out of the way underworld watering hole on the planet Takodana, but from what few scenes we get with her (Abrams wound up cutting some additional moments with her), she is wise and kind and offers a great deal of insight. While Gilbert left an apparent impression on J.J. Abrams, he was not the only one on The Force Awakens staff she impacted. Production designer Rick Carter was a student some 15 years before the director, and the two worked together on the final design for Maz. Abrams said they initially hoped to contact her to show her what they were doing, but she passed away on December 16, 2013 at the age of 95. Both Abrams and Carter attended her funeral. 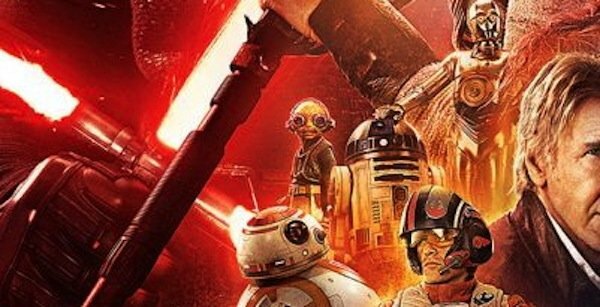 If at times it felt like Abrams had a soft spot for Maz Kanata, now it appears that we know why. We’ve also heard that there is much more to come from the character and that her story will continue to unfold in future Star Wars movies, but for now we can look at her as a fond tribute to a favorite teacher.